If you have extra time in Siem Reap, I suggest visiting some of the temples located within the town. I learned about these temples on my last day when I was searching for places that I could visit for free. Eventually, there are temples within the town that tourists can visit without paying admission fee. Although giving tip is appreciated. Because I still had enough time and I can still use the e-bike that I got from Ovelocity, I decided to visit the temples. 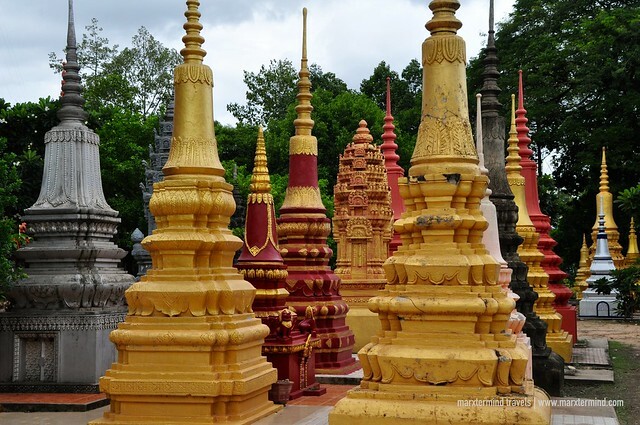 I listed four temples to visit: Preah Ang Chek Preah Ang Chom, Wat Bo, Wat Preah Prom Rath and Wat Damnak. These are reasonably short distances from the town centre. If you are fond of walking, then you can take a walk. Otherwise, you can hire a tuk tuk. I used my e-bike. 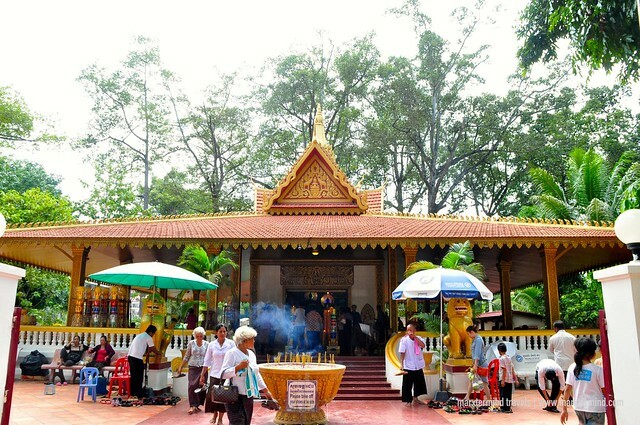 Located nearby Royal Residences, Preah Ang Chek Preah Ang Chorm Shrine is a small temple dedicated to two Buddha: Preah Ang Chek and Preah Ang Chorm. 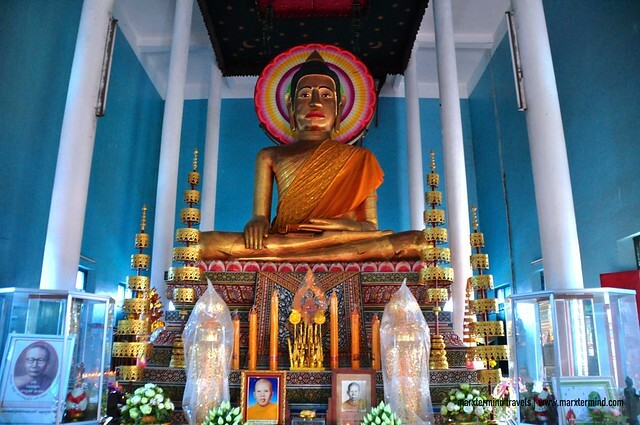 This is a popular place of worship with two standing statues located inside depicting these two Buddha: Preah Ang Chek is the taller and Preah Ang Chorm is the shorter. 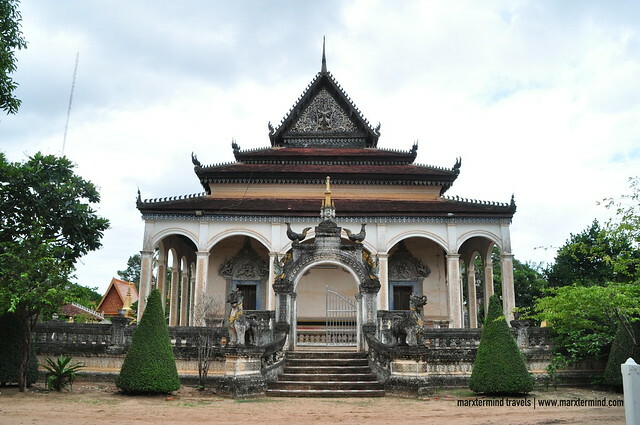 Located close to the Siem Reap River on the east side, Wat Bo is one of the oldest temples in Siem Reap. This temple is notable for its finely painted murals. I found the grounds extremely peaceful, as there were only a number of people. I enjoyed wandering around and taking great photos of the memorable tombs and stupas erected over the place. This is actually a great site to take a break from touring the major temple sites in nearby Angkor. 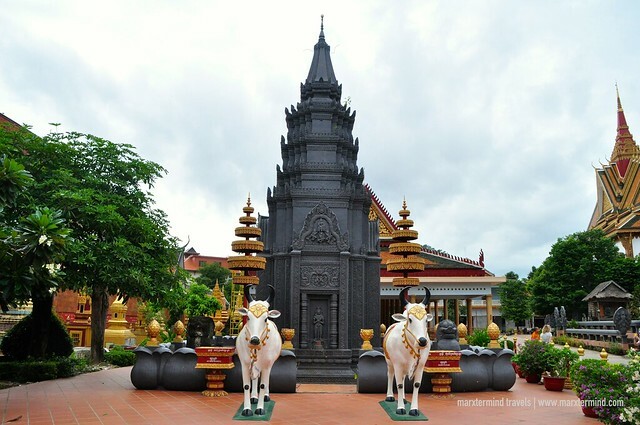 Located in the heart of Siem Reap, Wat Preah Prom Rath is a modern-looking temple and monastery. It is also the largest temple in all of Siem Reap. Like Wat Bo, the place also has a very peaceful atmosphere. The temple ground is quite huge. It is home to a university building as well as the main hall. 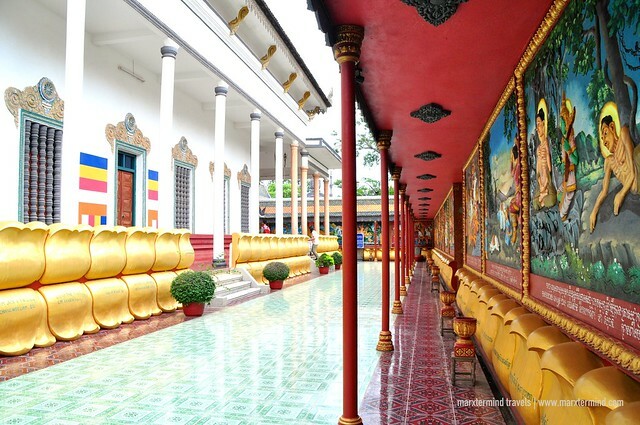 The main temple houses a Buddha and the reclining Buddha that can be found at the back. There were only few people around when I visited. The place also has beautiful pieces of architecture with some stunning decorations. There are also a number of nice monuments and statues great for photos. This place is worth a stop when in town. 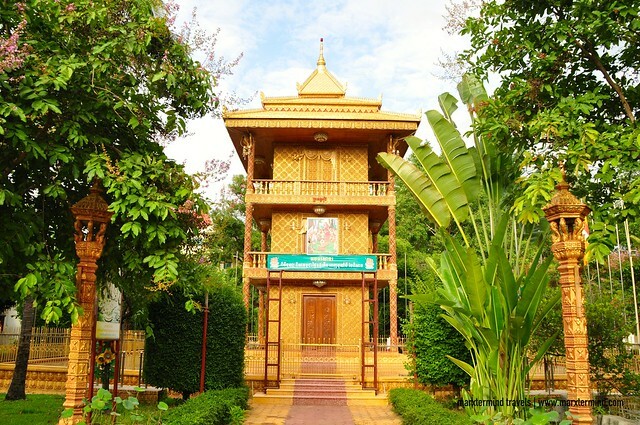 Located east of Siem Reap River and opposite the Old market, Wat Damnak is a living Buddhist monastery that is used to be a royal palace during the reign of King Sisowath. 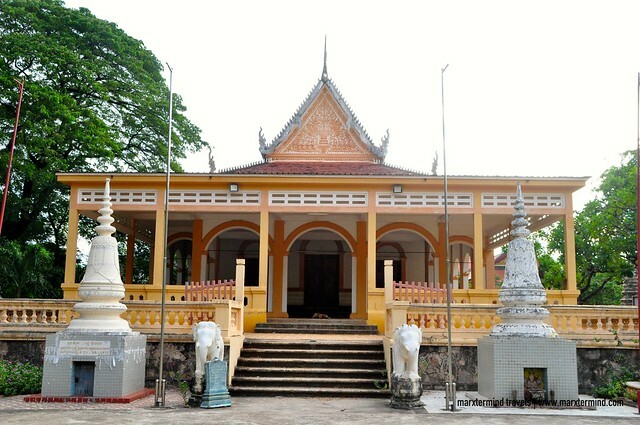 But now, it is home to the Centre of Khmer Studies. It is an independent institution promoting a better understanding of Khmer culture. The area contains the largest public academic library in the country outside of Phnom Penh. I finished touring by sunset. 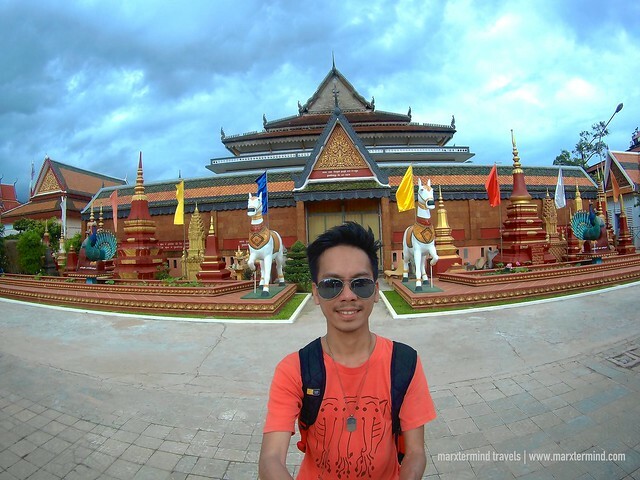 I was glad to spend my remaining time in Siem Reap to get around and see some interesting temples. I was happy to discover these temples and learn that Siem Reap isn’t just about the famous Angkor Wat. But the town also has some remarkable sites that are worth a visit.